What is the best length of time for an email campaign? Email campaigns are a powerful way to reach out to your perfect clients, whether you are breaking the ice, following up, or letting them know about something new. The problem is that, if you send email too often, you end up seeming pushy. If you don’t send email often enough, then you risk your contacts forgetting who you are and what you do. So, what is the right length of time for an email campaign? It all depends on who you are reaching out to and what you want to accomplish. What are you trying to do with your email campaign? Your goals have a lot to do with how many emails you should send and for how long. If you are just trying to introduce yourself or a new service, a handful of emails over a few weeks might be just right. If you want to educate clients who have already signed up for your services, it might be more appropriate to break up the information over many emails that are sent out over 6 months or a year. For following up after a book download, we usually recommend starting with weekly emails over 8 to 12 weeks. For a “blast” campaign about an upcoming event or special offer, we might recommend sending a few emails on an increasingly smaller time scale as the event date approaches. Feeling lost? 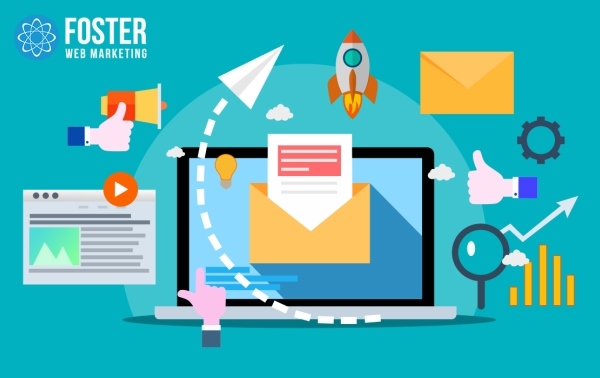 If you are a Foster Web Marketing client and need help figuring out the right length for your email campaign based on your goals, just reach out to our team at 888.886.0939 for guidance. People who don’t know you probably don’t want to get stuck hearing from you for the next year or two. People you do have a relationship with will be happier to hear from you more often. If you are managing your email contact list with appropriate tags, then you should know exactly who you are reaching out to with a particular email campaign—and that will help guide the length and frequency of contact. For example, if you are sending email “cold” to new contacts, we might recommend that you keep it short and sweet, with prominent options to either “unsubscribe” or officially sign up for more information. If you are reaching out to past clients, then we might recommend that you reach out less often (for example, monthly instead of weekly), but over a longer period of time. This is also the time to think about how many of your other campaigns your contacts are subscribed to. If a big portion of your audience is already receiving your newsletter and your book’s drip campaign, they may not be as open to getting yet another intensive, long-term series of emails from you. It’s all about thinking through what your contacts and perfect clients want to see from you and tailoring the length of your campaigns to meet their needs and expectations. How long does it take to convert the contacts that are most important to your business? We can give you “ballpark” ideas based on who you’re reaching out to and why, but nothing will give you concrete answers about what works like testing the campaigns you try. Ultimately, everyone’s perfect clients and contact lists are different, and what they are selling is unique. You can start with an informed guess, but the real answers will lie in the numbers you get from what you’ve tried. For example, you might start a drip campaign for your book offer with a length of 8 weeks. If you see a lot of engagement fall off after week 6, then you might want to test a 6-week campaign. If there is still a ton of engagement at week 8, you might want to test a 12-week campaign. This is a simple example, but the cool thing about email is that you can get very granular in your testing and analysis. Track your emails. Look at how well they have performed for your goals. Look at the emails that performed the best, and adjust your future campaigns to replicate that success. The data you analyze from your email campaigns is really just your perfect clients telling you exactly what they want. Email is one of the oldest and most effective digital marketing tools out there. It’s easy to get started, but there’s a steep learning curve to true mastery. Do you need help building email campaigns that convert or figuring out the “sweet spot” for frequency of contact? We have you covered. Find out how we help attorneys get on top of their email marketing, or sign up for a demonstration of the email tools available in DSS. Why Aren’t Your Email Campaigns Performing? When Is the Best Day or Time to Reach Out With Email Marketing? 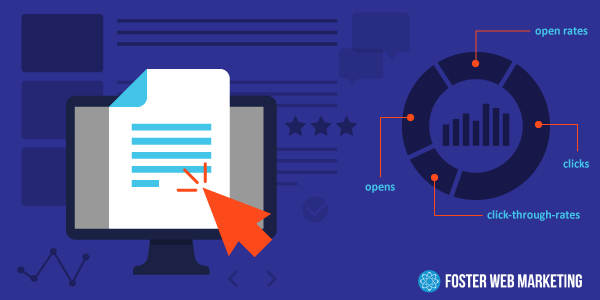 What is the difference between email clicks and opens? Tracking and analyzing performance is crucial to the success of your email campaigns, but it isn’t easy to make sense of the numbers you see when you’re first getting started. One of the most frequent sources of confusion is the difference between the similar-sounding email “opens” and email “clicks.” While they represent very different actions from your recipients, both are key numbers to look for in your analysis and to aim to improve as you move forward. The first step, though, is understanding what you’re looking at. Is “opening” an email really different from “clicking” on it? The answer is yes—and here’s why. What Do Email “Opens” Mean for My Email Campaign? “Opens” or “open rates” measure how many people opened up your email and looked at it. Hopefully, they read it, but there’s no guarantee they did any more than glance at it, and there is no way to track how long they looked at the email. While that may seem really straightforward, there is a hitch. The number of “opens” you see may not represent everyone who viewed your email. To collect data on the “open,” the recipient must allow HTML and images in their emails. Some people do not, especially on mobile, so you have no way to know if those recipients opened the email you sent. Instead, you’ll see a separate section of your CRM email reporting data that shows those emails were “delivered, not tracked.” This is something to keep in mind as you review an email campaign’s performance, especially if it was targeted for mobile-heavy audiences. It also worth noting that, since “opens” happen before the recipient has read the content of the email, open rates often have more to do with how your compelling your subject line is and the relationship your law firm has with the recipient. If your open rates are struggling, you can work on improving your numbers by improving the subject lines you write for your emails. What Do Email “Clicks” Mean for My Email Campaign? “Clicks,” “click-throughs,” “click rates,” or “click-through rates” measure how many people clicked on a link within your email. While “opens” only measures how many people look at your email, your “clicks” represent how many people read the content of your email and were compelled to click through to your target page. For example, the “clicks” for an email about your new book might represent how many people clicked on the link to the offer page from the email you sent. This is an important number because it helps you measure how effective your emails are at driving traffic to your website and convincing readers to take action. Do your emails look good? Find out how to build eye-catching emails with the DSS Advanced Email Editor. Does your email content speak directly to your audience? Does it make sense and explain how your message or offer is relevant to their lives? Did you include a call to action that asks readers to click on the link or button? Do they understand why they’re clicking and what they’ll find when they get there? Your “click rates” have everything to do with what people see (and how they feel) after they’ve opened your email and started to read, and everyone’s “perfect clients” are different. As you improve and adjust your email content, keep testing your ideas and measuring the results. Good tracking and analysis are the only ways to make sure you’re hitting the mark with the people who matter most to your business. Do you know how well your emails are performing? Are you happy with the numbers you see when you look at your campaigns? If you need help tracking, analyzing, or improving the emails your law firm sends, reach out to our team at 888.886.0939. You can also learn more about how to do it yourself in DSS.